It’s been quite some times since the Ssyangyong Korando has seen an update, having received a facelift in 2012 for the fourth-generation model that made its debut in 2010. 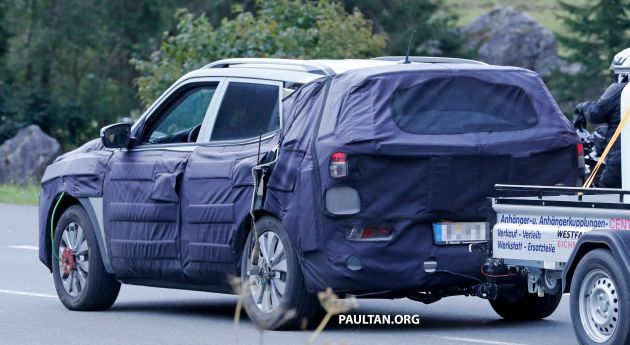 Though heavily cladded in camouflage here, the forthcoming Korando can be seen to adopt the proportions of the e-SIV concept that was previewed earlier this year, which was an appetiser of sorts for Ssangyong’s future direction in technology and product development, according to the company. The development vehicle here can be seen to be wider and more square-cut compared to the current Korando, and its front foglamps appear to be situated further up the front bumper compared to before. At the test mule’s rear end, the tailgate forms a rear end that is also more upright than the current Korando’s. 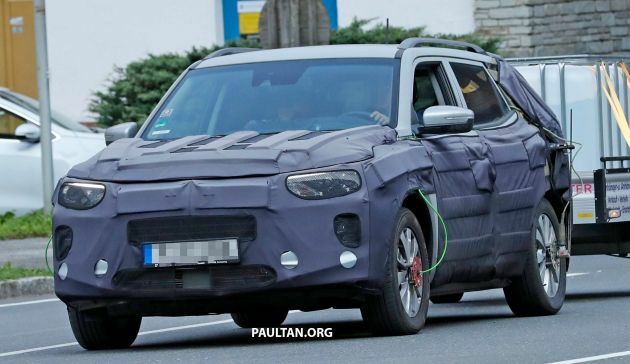 A fully-electric version the Korando should be in the works, though there aren’t any technical details on the Korando EV so far – the e-SIV concept featured a 140 kW electric motor and a top speed of 150 km/h and a 450 km range. Early powertrain choices will be comprised of a 1.5 litre petrol engine and a 1.6 litre diesel, with both power units being new to the range. A mild-hybrid version of the petrol is likely, too. The forthcoming Korando in its conventionally powered and electric forms will be the first of a new run of models for Ssangyong. Further afield, the Tivoli B-segment SUV is tipped for a facelift in 2020, while the recently-launched Rexton is set to receive updates in 2022.